Välkomna (“Welcome”, in Swedish). In just under two months, the IKEA shop in Alfafar (Valencia) will open its doors and an enormous Mondo LED screen will dominate the exterior of the establishment. 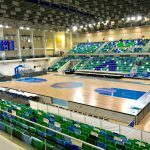 The measurements and its resolution are impressive: 14.97 metres wide by 6,048 metres high, with a graphic surface area of 90.57 m² and 281 trillion colours in HD+v. 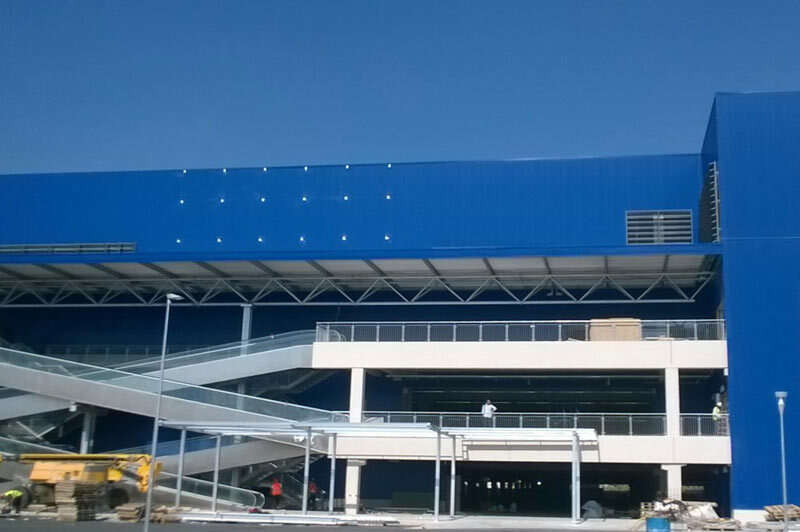 The installation of the screen in IKEA’s shop in Valencia, which has already been manufactured, started its first phase yesterday, 6 May, with the placement of the structure that will secure the screen. During the second phase, which will start on 19 May, the modules of the HD+v LED screen will be mounted and the fine tuning will take place. Everything will be ready so that on 17 June, the opening day of the new shop, the establishment will shine with this highly impacting and effective commercial claim. 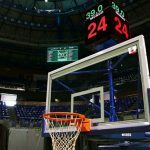 The great communication capacity of LED screens has meant that they can be enjoyed more and more frequently in sporting premises and in commercial establishments. 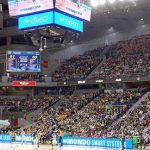 The possibilities of the screens manufactured by Mondo are infinite: as their configuration is modular, they can be constructed in any size and resolution, and they can be transformed into different sizes. Outdoor screens use traditional latest generation LEDs, thus achieving great luminous power. 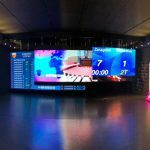 Developed entirely by the Mondo R&D&I Department, these LED screens make it possible to project all types of contents in a great variety of formats, as well as the inclusion of own software, making it possible to manage it from anywhere on the planet. They also permit creating compositions, programming times and dates of transmission, as well as inserting subtitles and texts into already recorded videos.